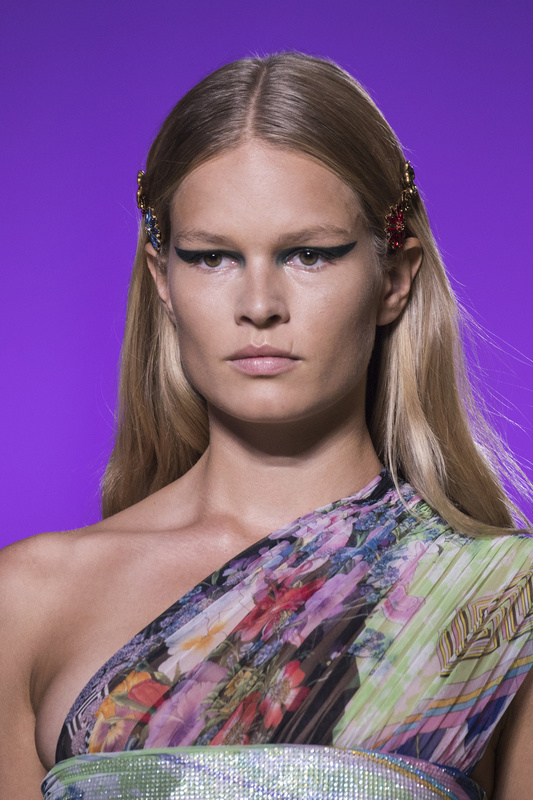 Leave it to Pat McGrath to modernize the cat-eye, as she did on Friday at Milan Fashion Week's Versace show, debuting the bright and bold spring 2019 collection on the runway. The likes of Kendall Jenner, Emily Ratajkowski, Kaia Gerber and more hit the catwalk in not only ready-to-wear looks that could be seen from a mile away, but also beauty vibes that were equally as palpable. 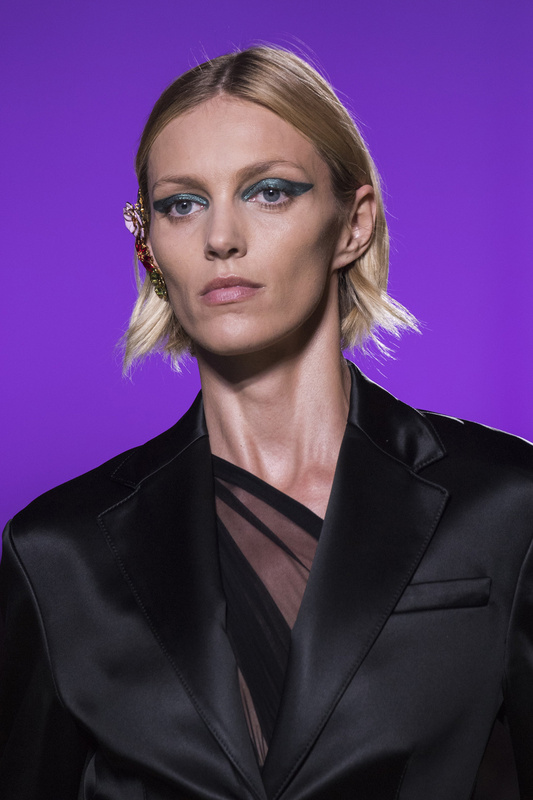 And it was all by way of one of the most retro makeup tricks out there that McGrath showed us the futuristic eye we're going to be using on nights out, all season long. McGrath has made the '50s style more youthful than ever, by choosing a thicker liner, really allowing the eye extension to take on a shape of its own. What's more, in bright colors with slight metallic sheens, she's truly brought us the Star Trek version of that Grease! favorite. As for the rest of the models' faces, McGrath opted for a slightly pink lip and little to no color on their face. The hair was parted down the middle, free-flowing, pinned back by clips above each girl's ear.